It's that time of year again, when Bunnies are everywhere! Bunny bless you all and please welcome new Fuzzies from the past few months. 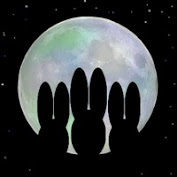 Welcome and may we all find some peace and love in the omnipresent paws of the Cosmic Bunny! When the Cosmic Bunny created us, It put a spark of Itself into the core of our being. That spark is known as the Inner Bunny. You may have been taught the term "Higher Self" or "soul". It is the part of us that exists in a state of love, peace and knowledge. 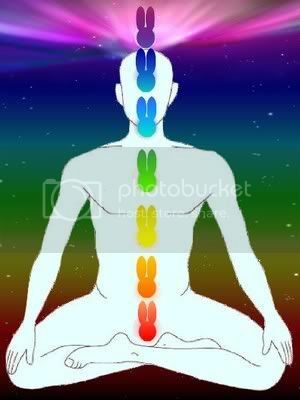 It is not only our lifeforce, but our greater guidance directly from the Cosmic Bunny. Living with a conscious knowing of your Inner Bunny lets you see and feel beyond the usual five bunnysenses. The big picture, apart from the petty concerns of our busy lives, becomes clearer. Things happen as we wish, as if some great Bunnypaw reached down from the sky and arranged it all for us. This is because we are in synch with the Cosmic Bunny and the flow of life, so we naturally hop along the trail that leads us in the right direction. One curious side effect of Inner Bunny awareness is that other humans who have also awakened their Inner Bunnies, many animals and most small children can see Bunny ears above your head as you walk down the street, glittering subtley. These are somtimes known as "Fuzzy Ears". In 2003, while focusing intently on my own Inner Bunny at a bus stop, a child suddenly hollered "A BUNNYYYYYY!!!!" to his mother across the street from me. I looked up to see a finger pointed directly at me, from a very excited little boy! I glanced around and there certainly were not other Rabbits nearby, in the center of a concrete and asphalt station. My ears must've been glowing! Haven't you ever wondered why humans try so often to look like Bunnies? And not just at Easter! You'll see fluffy pink ears at parties, on Halloween and during carnival season across the world, from Rio to Munich. Do an image search for "Rabbit ears" online and you'll find the internet is filled with ordinary people wearing Bunny ears, or faking it with two fingers in a "V" behind the head. We all have a natural instinct for Bunnyness. When we are ready to know why, we can simply look inside ourselves for the answer. Bunny Acts of Kindness spread Bunnyness throughout your community. 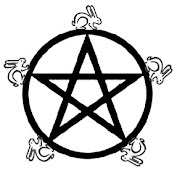 The word "Bunny" itself acts as a hidden catalyst or sign that affects consciousness. We encourage you to use the word "Bunny" as often as realistically possible in your daily speech, not only to remind yourself, but for the benefit of others as well! Bunny images, from screensavers, cups, t-shirts and Bunny calendars, even popular images like "Happy Bunny" (who, while grumpy, is just a teenager, after all) serve to increase Bunny awareness in society. Artists, don't be shy about painting, drawing or designing more Bunnies! Decorate your desk at work with Bunnies! Bunnies everywhere! Bunnies on TV, in cartoons, commercials or shows should be encouraged. Write networks to let them know how much you enjoy Bunnies! Bunnies in print are another good indicator of current Bunnyness. If you're a writer, consider adding a Bunny character in some way to your work. Start a Bunnyblog or Bunnymagazine! Eventually, if enough humans awaken their consciousness and step into their Bunny-given Bunnyness, a point of critical mass may be reached. 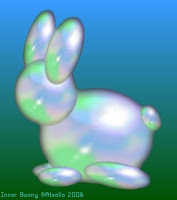 The Hundredth Bunny Effect will occur and the Cosmic Bunny's light will spread across the Earth, awakening everyone it touches, finally ushering in an era of peace. So, spread Bunnyness daily and spend at least 15 minutes per day contemplating your own Bunnyness. Let your Inner Bunny shine! Spread Bunnyness with graphics for your website! Happy Holidays, Bunnies & Fuzzies! 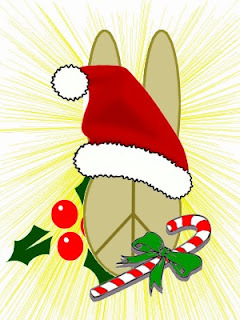 The Church of the Cosmic Bunny wishes all who celebrate this holiday season a very wonderful Christmas! And to all creatures of every species and religious persuasion, a very happy New Year with peace, love and prosperity in 2010! Hello again, fellow Fuzzies and Bunnies! Welcome, all of you! And thank you all for your continued Bunnyness! Most Bunnies and Fuzzies dream of settling down one day and making a family. 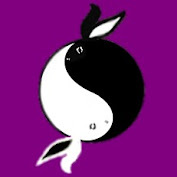 The Cosmic Bunny wants what’s best for us and wants us to be happy. It wishes that we may unite ourselves in the way we feel best doing and with whom we wish to do it with. Bunnies or Fuzzies may marry in a church or in a field. They may choose to not have a ceremony or they may not marry at all! They may even wish to marry someone of the same gender. A Bunny or Fuzzy may marry whomever they choose that can consent to the union. What’s most important when it comes to marriage and relationships is that we are happy. We must choose carefully our Love Bunnies and must not get mixed up in a bad relationship. 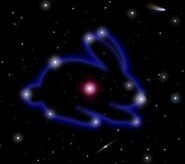 If you feel lost or confused about your relationship, pray to the Cosmic Bunny for guidance and talk to your partner. You must work through it before you decide to commit your lives to each other. H.Bunny and I would like to say some words about the recent passing of the legend and King of Pop, the beloved Michael Jackson. We are very saddened that the world has lost such a kind and caring person; a humanitarian, a father, a son, a brother and quite possibly the best entertainer the world has ever known. Our hearts go out to his family, friends and fans around the world, who love him dearly with such devotion. We ourselves were to attend two of his shows at the O2 Arena in London this summer and have shed more than our fair share of tears these last few days. We wish him well on his journey through the Eternal Meadow and pray that the Cosmic Bunny wraps him in Its loving, warm and fuzzy paws and helps him and those he left behind make some sense of this tragedy. Many of you may not realize a few important things about Michael Jackson. For one, although he was never a member of the Church of the Cosmic Bunny, he was most certainly a Fuzzy at heart, spreading Bunnyness far and wide. And I hope I do not have to remind anyone that he was found not guilty in the 2005 trial. We feel that he was simply what he professed to be; a child at heart. 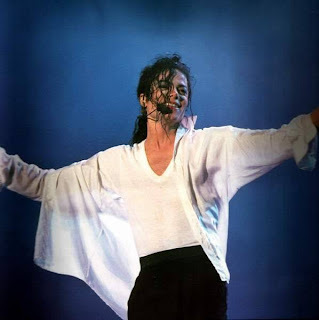 In his music and dance he was able to channel the energy of the Bunny God straight here to Earth, especially in songs like Heal the World, Man in the Mirror, Earth Song, Can You Feel It and so many more. Regardless of what your opinion may be of him or his music, there is simply no denying that he was a great humanitarian (or would that be Fuzzytarian?) who gave millions upon millions of dollars to charity (including proceeds from both the Victory Tour and Dangerous Tour), regularly welcomed low income kids and sick children from Make-A-Wish Foundation to his Neverland ranch, which was even equipped with special accomodations for the ill or dying, and lent his time and voice to such things as We Are the World (USA for Africa), aid to children in wartorn Sarajevo, the Heal the World Foundation (the charity he himself founded), environmental causes, Just Say No anti-drugs campaign and so many more. (See MJ Charity Work for more complete information). If you were planning to see him in concert this summer and will have ticket refund money or if you just feel the need to carry on his legacy of love, peace, forgiveness and kindness (which is very 'Bunny'), we suggest making a donation to one of his favorite charities, such as the Make-A-Wish Foundation, in memory and honor of Michael. To conclude, here are a few videos from YouTube that may better express for you who the real Michael Jackson is/was. Let's heal the world. Thank you, Michael. You will always be missed.